Automated user-provisioning for Active Directory and RenWeb. No more double-entry! Sisdir reads data from RenWeb, then syncs it to your systems. Sisdir’s Condition Builder allows you to conditionally place users, assign security groups, create folders, and more. Accounts with no matching counterpart in RenWeb can be ignored, deactivated, or deleted. Sisdir can even wait for a specified period of time before acting. Sisdir can create home folders for users, setting NTFS permissions to grant users read and write access. Home folders can be removed during account cleanup. Sisdir will try to match RenWeb users to existing accounts by name, ID, or attributes of your choice. 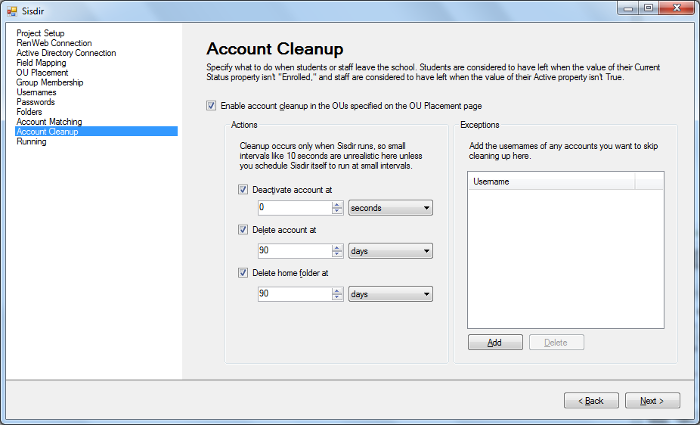 Every synchronization generates a detailed report of which users were added, deactivated, deleted, and more. Reports can be automatically emailed to the addresses you choose. 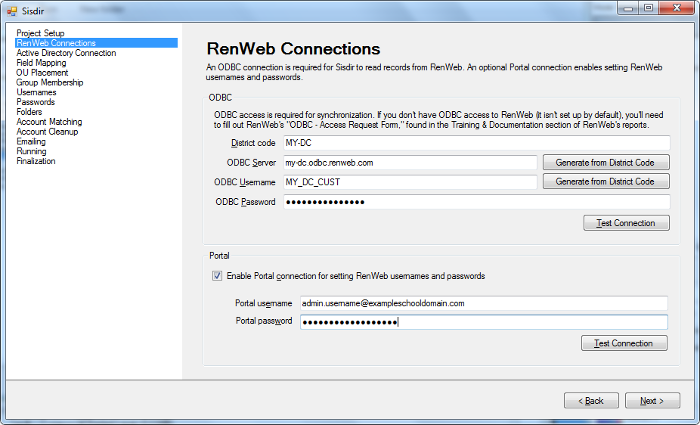 Sisdir connects to your district’s RenWeb ODBC database for sync that’s tailor-made for RenWeb schools. 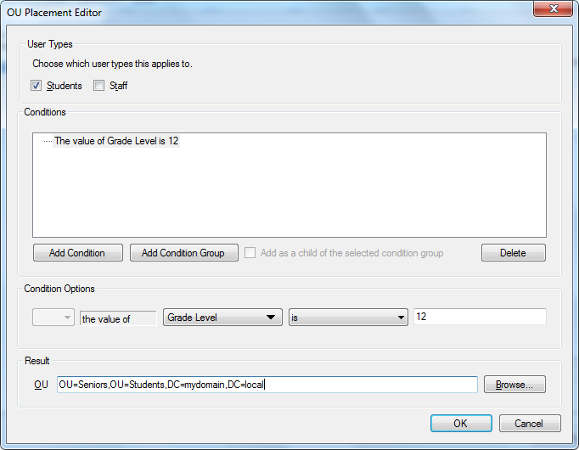 All students and staff can be assigned to the same OUs and Security Groups, or you can use Condition Builder to assign them conditionally. In the screenshot, Senior users are being placed in a special Seniors OU. 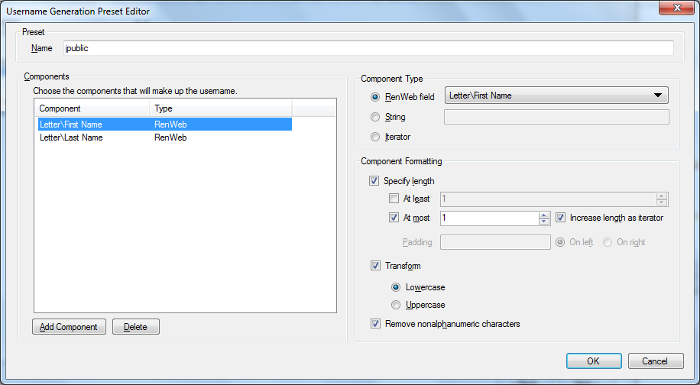 Usernames can be generated from RenWeb fields, string constants, or numeric iterators. Home folders can be created alongside user accounts. 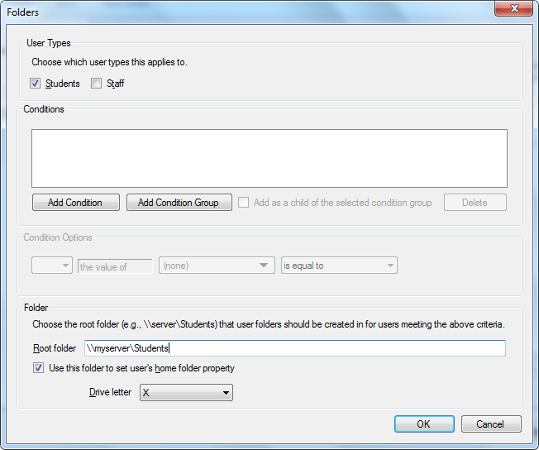 Here, folders are set to be created in \\myserver\Students and mapped to drive X for student accounts. Accounts can be deactivated or deleted as soon as they are inactive in RenWeb or after a period of time. Account folders can be deleted as well. Ready to learn more? Questions or comments? We’d love to hear from you! Thanks for your interest in Sisdir! Please let us know the best way to contact you and we’ll get back to you shortly. Thanks! We’ve received your contact info and will be in touch soon. Something went wrong. Please try again or give us a call at (989) 565-0098. © 2019 Eskildsen Enterprises, LLC. All rights reserved.